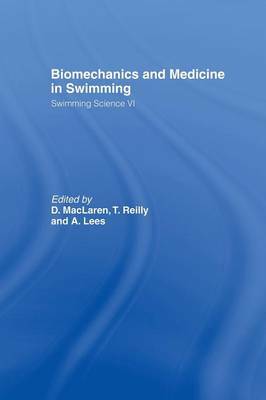 The International Symposium on Biomechanics and Medicine in Swimming, held every four years under the aegis of the International Society of Biomechanics and the World Commission of Sports Biomechanics, provides a forum in which research related to swimming is reported and problems that confront swimming practitioners are debated. This volume contains the papers presented at the sixth symposium. The keynote addresses covered lactate metabolism, performance determining factors and the analysis of sprint swimming. The contributed papers range widely across sports science, coaching and training and sports medicine.